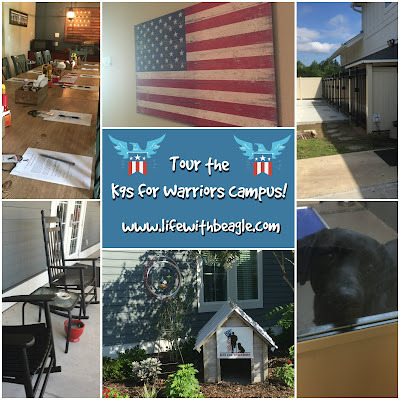 The K9s for Warriors campus is in North Florida looks like a mini-apartment complex. The majority of the property is for the dogs -- kennels and dog parks, and a new indoor training facility under construction. 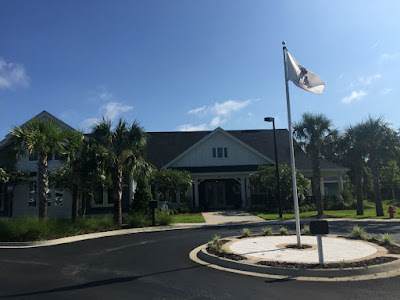 But this facility isn't just about training service dogs for veterans. It's about starting the vets on a journey towards wellness. 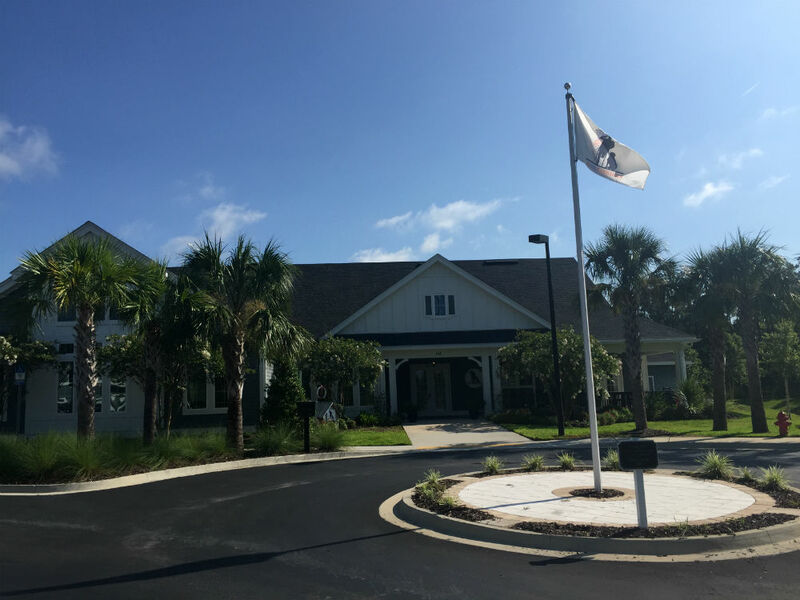 The main building for K9s for Warriors is also a clubhouse for veterans. On a Saturday morning I met Carrie Bennett, the donor services manager. We started in the main building, which had the feel of a clubhouse. "We want them to know this is not an institution of any kind," Carrie said. "This is a family environment. That we are trying to change your life. We know it works." The comfy common area for the warriors -- and yes, the dogs can sit on the furniture. 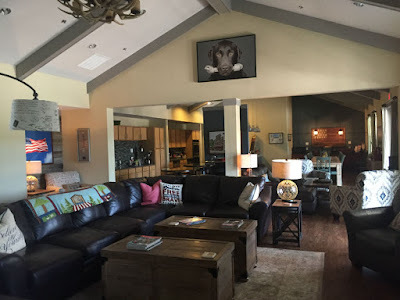 The living room has comfy leather couches, a big screen TV, video game systems, shelves of DVDs. A full kitchen opened to a long dining room table. Americana and dogs make up the decor -- plenty of reds, whites and blues, lots of pictures and paintings and dog related signs. 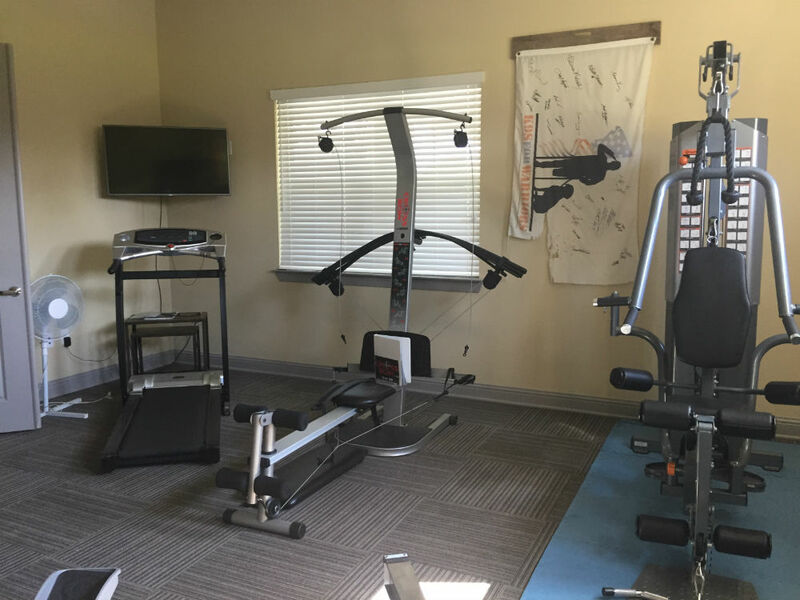 A gym with well-maintained equipment is also open to vets, along with a business center and library. Some of the equipment in the exercise room. All of this is available to the veterans, 24 hours a day, in case they need to get up in the middle of the night and expend some nervous energy. That's something that's very much needed, because these men and women often have trouble sleeping -- among other issues. "When they're home from Iraq, Afghanistan, war areas, and they're in civilian life, no one has their back," Carrie said. "So they're constantly up during the night, walking the perimeters five times a night of their home, making sure everything is battened down. And a lot of times they have firearms and knives, making sure no one comes in. Carrie says each new class of veterans seem to bear the same hallmarks of trauma -- beards for the men, ball caps down low, they keep to themselves. "A lot of these veterans come here on a lot of meds, some of them up to 40 something, 30 something pills a day," Carrie said. "And we know there's a huge reduction in medication, if not they are totally off medication after leaving our program." Each apartment has room for four vets, plus a common area with a kitchenette. 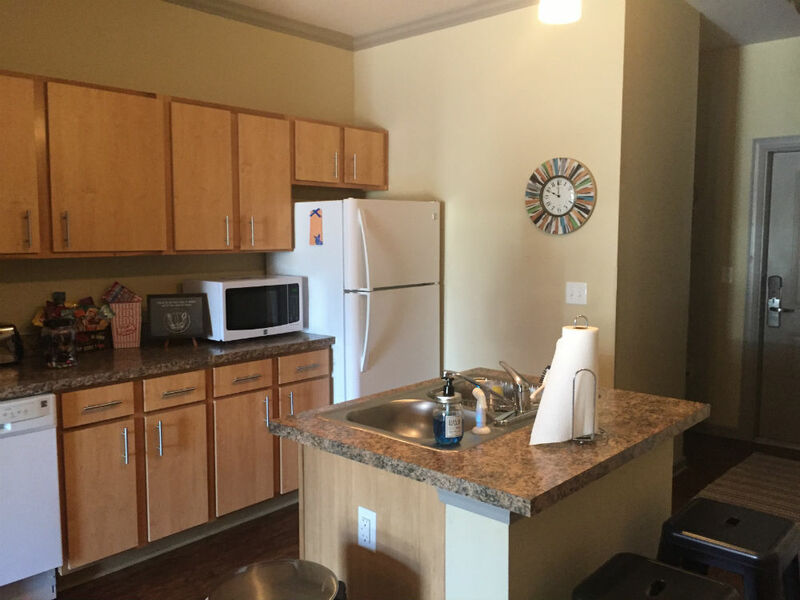 Every new class of 12 veterans gets assigned a room in a dorm-style apartment they share with three other roommates, complete with a common area and a kitchenette. 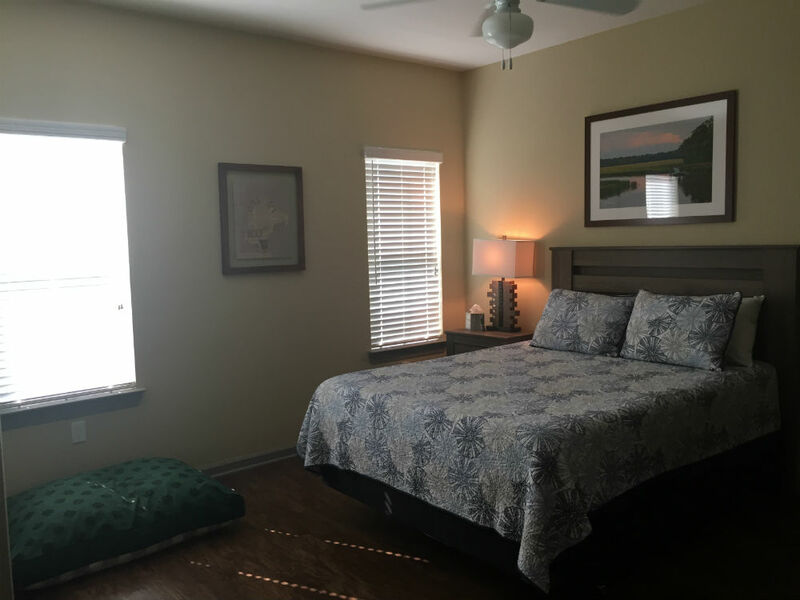 One of the bedrooms in the veterans' apartments. 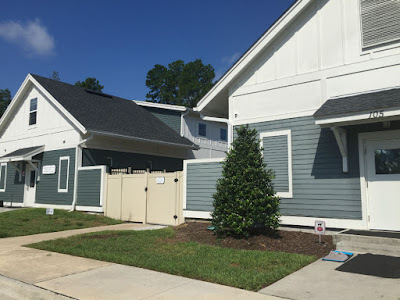 But the vets won't be alone in those bedrooms for long, because the next day they meet their new battle buddy (that's what K9s for Warriors calls the service dogs). K9s for Warriors' trainers use a long questionnaire to match a dog with a veteran. And from the day they get paired, that dog does not leave the vet's side. They're literally joined at the hip with a special harness and leash, except to shower, or to sleep. There's a bed in each bedroom for the dogs, but they can sleep in the human bed too, and many do. The dogs come from all over the country. Many are saved from shelters, particularly kill shelters. Some are from rescues. Some are donated by breeders. 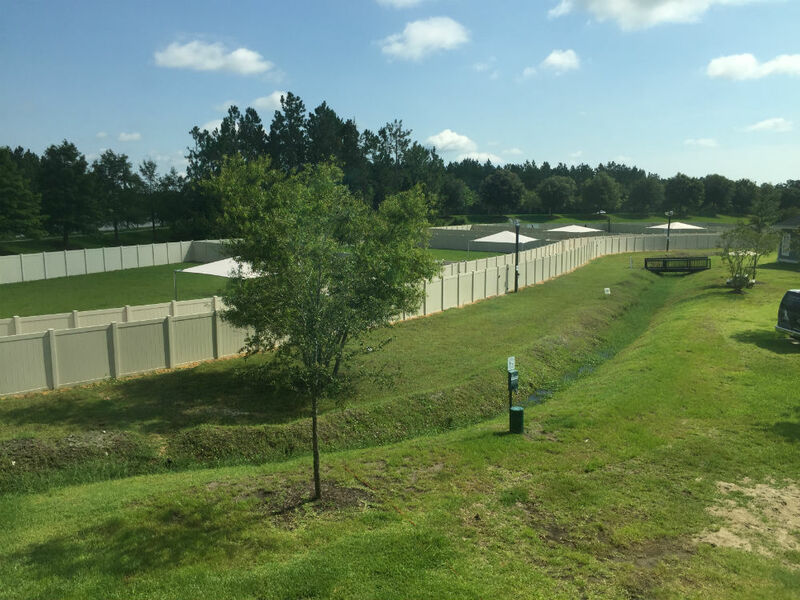 The K9s for Warriors campus has 2 kennels, where the dogs stay until they are paired with a vet. The dogs are no older than 2 years. The youngest stay with a puppy raiser before going into the on-campus kennels for further training and to prepare to be paired with a veteran. "These dogs are so thankful, they are just amazing souls and they just want to help," Carrie said. "They're workers. They want to be loved and they want to help." Charlie was named after Navy Seal Charles Keating, who was killed in Iraq in 2016. He is one of three dogs donated by the Keating family to K9s for Warriors in Keatings' memory. 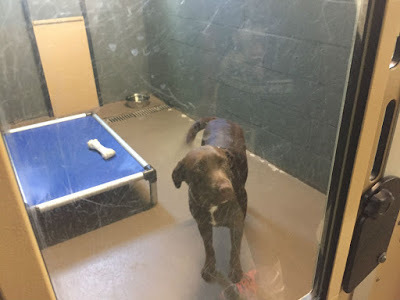 He was paired with a vet in the July 2017 class. Once the vet is paired with a dog, for the next three weeks, the warrior undergoes intensive training and bonding with that dog. They go out to new places and learn how to walk with the dog, they learn how to read the dog's cues to help them calm down and snap out of their darker thoughts. One of the many park areas where the pups can play. For a veteran suffering from trauma, a child screaming, a store clerk dropping wood planks on the ground, anything can send a veteran back to that warzone. "[The trainers] try to push the anxiety high to see, to make sure they start utilizing the dog properly to mitigate the symptoms," Carrie said. But Carrie says after a while, a light switch seems to go on in each warrior under their care, and they begin to rely on the dog more and more. And the dog is also sensing when the warrior is stressed. It'll whine, jump up for a hug, and give other cues to redirect the veteran. Rocking chairs are every where at K9s for Warriors. Carrie says rocking is therapeutic. The vets sit and rock and pet their dogs all day long. And at night, the dog will help the vet out of nightmares by nudging or licking them. After 120 hours, the veterans and their battle buddies graduate and go home. But they can always come back, and many often do to help volunteer. And when the service dog finally retires, the veteran can return to get a new dog. 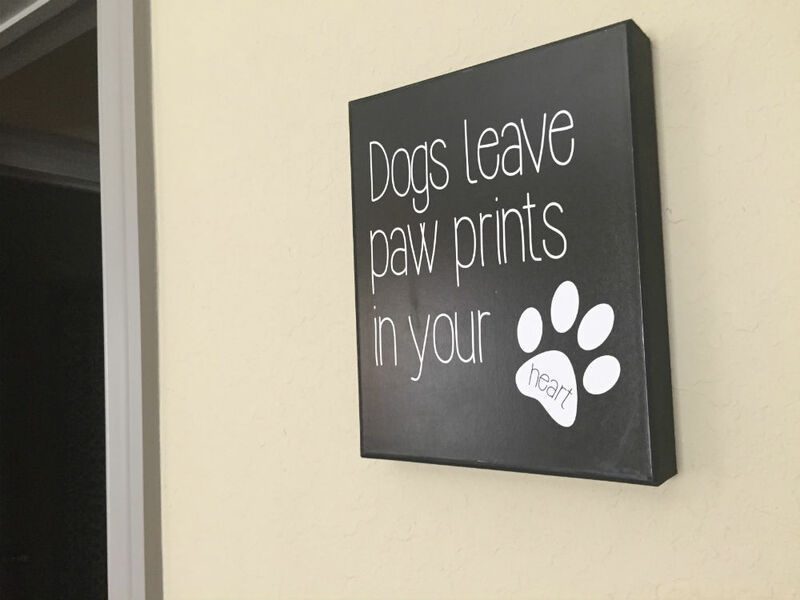 The retired pup is now a cherished family member. Carrie says they're there for the life of the vet. How was K9s for Warriors created? Shari Duval founded K9s for Warriors in 2011 in her home. "Her son did two tours in Iraq, and he came home different each time. And the second time he came home -- he was not the son she knew," Carrie said. "And so what she saw was when he was with his dog, the world seemed right. When the dog was not around he would not come out. So she thought you know what? A dog, a vet, one per month, we can save 12 lives each year." From starting in her home, K9s for Warriors is now in its own complex. The July 2017 class hosted 12 warriors for the first time. The long-term goal though is 16 per class. To do that, K9s for Warriors needs to build two more houses for the warriors. But for now, the more important task is to maintain 12 warriors per class for a time, and to get the wait list down below 14 months. But thanks to generous donors, Carrie is hopeful about maintaining class size. 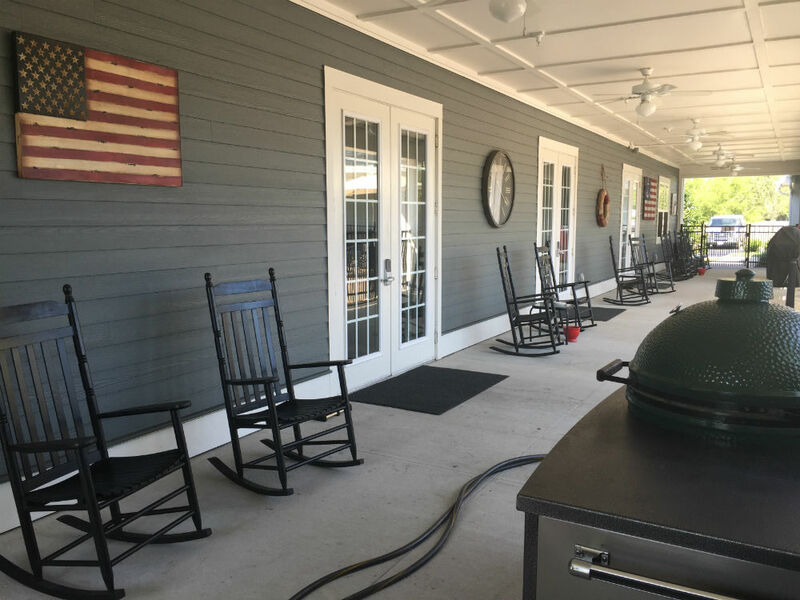 They've helped almost 350 veterans since 2011. "We've had so many people donate to us," she said. "This whole facility is free. And if it wasn't for Shari and her drive to save her son, we would not be here today." One of those proud sponsors is Merrick Pet Care. The company donates all the food and treats for the dogs, from the puppies to the veterans. 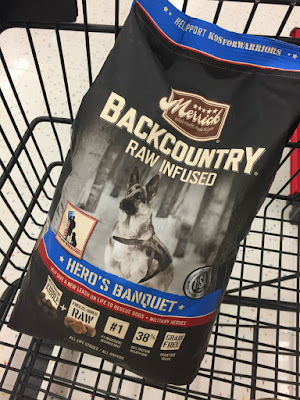 In honor of K9s for Warriors, Merrick created Merrick's BackCountry Hero's Banquet food line. 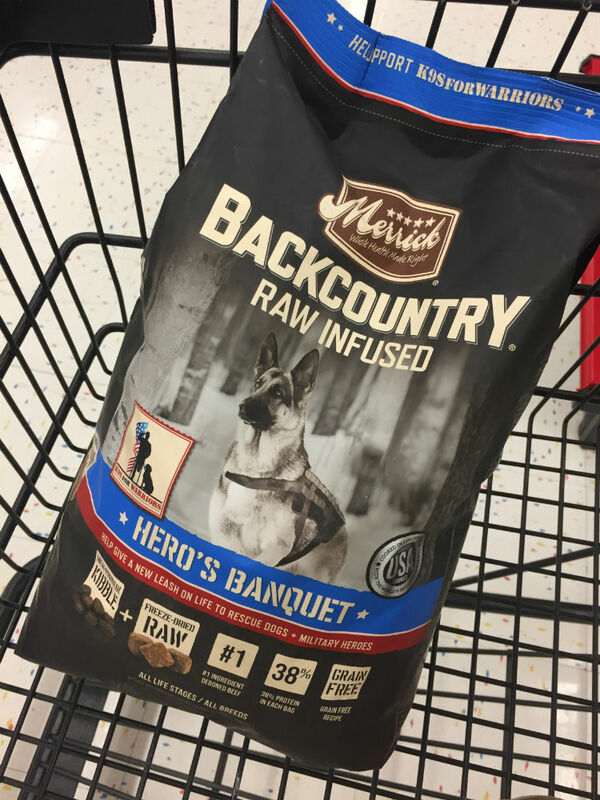 In July 2017, Merrick raised $75,000 from the sale of this line for K9s for Warriors. They also helped fund clinical research to take a look at how service dogs help those with PTSD. "They are our guardian angels," Carrie said. "They understand that the veterans here in the United States need our help, and they are doing a huge part." You can find Merrick at Petco and at independent and online retailers.